There are many different infectious and inflammatory problems that can be treated in the office. One of the most common is conjunctivitis, often referred to as pink eye. In most cases, eye drops and hot compresses will suffice. Not all inflammations, however, are infections. Iritis, for example, an inflammation of the colored part of the eye, occurs commonly in persons who have arthritis or other similar systemic problems. Iritis usually is not infectious...that is, there is no known germ causing the problem. Mistreated as pink eye, it may result in serious damage to the eye. Our physicians can easily differentiate iritis from simple infectious conjunctivitis with your exam. Other types of conjunctivitis may be allergic, chemical or toxic. Contact lens-related allergic conjunctivitis ("giant papillary conjunctivitis") is very common, especially with the large number of contact lens wearers these days. This problem can usually be helped, but proper diagnosis must come first. A tender, swollen gland in the eyelid, better known as a chalazion, is easily one of the most frequently misdiagnosed problems we see. These may be red, draining and quite swollen even though not infectious. Appropriate eye drops often can give relief, but again, proper diagnosis is first and foremost essential. If you have a red, swollen, tender and/or irritated eye or eyelid, let us know. What may seem to be a simple "pink eye" could be something totally different. If this problem develops while you normally wear contact lenses, you should immediately remove the lens and seek professional help. Serious ulcers of the cornea can develop from improperly treated infections. Never use anesthetic eye drops while you are waiting for an appointment with your eye doctor. This practice can lead to serious and permanent negative consequences. Dry eyes are an increasingly common complaint. Often this situation is caused by chronic inflammation which has been problematic because of a lack of readily available treatment. Today, however, looking beyond the standard artificial tear drops, newer anti-inflammatory medications have made a significant improvement in our ability to provide relief from this disorder. Injuries to the eyeball, eyelid and surrounding structures are very common. Small foreign bodies in the cornea or conjunctiva (lining tissue of the eyeball and eyelid) occur very frequently, and they can most always be removed simply and painlessly. Scratches to the surface of the cornea often times will feel exactly like a foreign body in the eye. Some foreign bodies are so small that they escape detection unless the eye is examined with a special microscope that permits them to be seen. If you have something in your eye and it cannot be washed out, please let us know. Once again, we will see you promptly. Properly treated, secondary infections can usually be avoided. 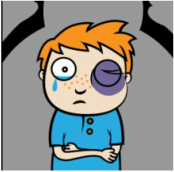 Blunt injuries to the eye may be serious. A blow from a baseball or tennis ball, for example, or a fist injury, can cause severe inflammation as well as swelling or hemorrhage in the retina. A broken bone in the eye socket can be a further problem. These injuries should be examined by an ophthalmologist. Dilation of the pupil may be needed to determine if there is more severe internal injury. Chemical injuries are also very common. Most household chemical agents such as soaps and cleansers do not cause serious problems although they may be very irritating. Chemicals with strong alkalis in them such as toilet bowl or oven cleaners can produce severe burns and should be evaluated by an ophthalmologist. If you get any chemical in your eye, you should immediately flush the eye with a large volume of water. If solid chemicals are lodged under the eyelid, they must be removed. Do NOT wait. Certain products may cause permanent damage. Other materials may cause a lot of discomfort even though they rarely produce any long-term serious problem. If you sustain a chemical injury from a product whose contents are unknown to you, try to bring the bottle with you so that we may find out what is in it and treat your eye accordingly. The most common of the problems seen in the eyes of children, other than nearsightedness, are those related to lazy eye difficulties, muscle weakness and turns of the eye. Some of these are present at birth while others become evident only later on. Proper diagnosis and management are critical to the development of clear vision which must be established during the first few years of life. Crossing of the eyes is a very common problem in childhood. In many cases this is an illusion caused by the wide and flat bridge of the nose which has not yet developed. True crossing, however, may be present at birth or develop during the first year or two of life. The illusionary "crossing" will always disappear as the child grows since it is not a real crossing in the first place. True crossing is not outgrown. 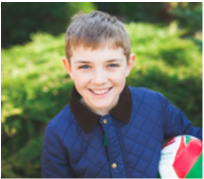 If you think your child has crossed eyes, it is important to have your child examined promptly. With an eye persistently crossing, the vision may decrease in that eye, a condition known as amblyopia or lazy eye. A child may also have a lazy eye without it being crossed. If one eye sees well and the other does not, and if there is no crossing of the eye, you may have no clue that there is even a problem in the first place. By the time it is discovered during the vision screening tests given when your child is 5 years old and in kindergarten, it becomes significantly more difficult to treat. For this reason, even if you have no suspicion of any problem, we suggest you have an initial comprehensive examination your child's eyes by the end of the first year of life. Early amblyopia (lazy eye) can be detected and treated. If you suspect that there might be some problem, let us examine your child at that time, no matter how young. We routinely examine even newborn infants where there may be a suspected problem. Being old enough to read an eye chart in not necessary. There are many children who have difficulty reading, reverse their letters or are generally slow at learning. We often receive referrals from pediatricians for complete evaluation of these children's eyes. Certainly this is recommended, for if a child cannot see well, learning may be impaired. However, true learning disabilities such as dyslexia are virtually never based on eye disease. Furthermore, they are NOT improved by the so-called eye muscle exercises that have become popular in recent years. Eye muscle problems do not create learning difficulties. Children do not reverse letters (such as b and d) because of eye problems. Both the American Academy of Pediatrics and the American Academy of Ophthalmology want you to know that these eye exercises are of no value. If your child has learning difficulties, the problem should be left to the learning disabilities specialists and the educators, NOT eye care providers who prescribe eye exercises. Please don't hesitate to talk to our specialists about this important subject. Far in excess of any other childhood eye problem is simple nearsightedness, technically called myopia. This is not really a disease but rather a continued growth of the eyeball's length. In other words, the eyeball is too long from the front to back so that the image which is projected onto the retina is out of focus. See the two photographs below. Figure 1 shows the "normal" eye in which the image is focused exactly on the retina. Figure 2 shows the myopic eye in which the image comes to a focus before it reaches the retina. Then, as the light rays continue back until they reach the retina, they are out of focus again. All this happens because the eye is too long, and the retina is too far back from the lens. Nearsightedness can be present during the first few years of life but more commonly starts during the school years. Children often do not complain about blurry vision. It is not until a parent or teacher notes that the child is squinting to see the board in school that the problem becomes evident. Glasses are generally the solution. These days, many children, even younger ones, are being fit with contact lenses as well. Our office can perform the necessary examination of your child to make certain that the appropriate prescription for glasses is available. Our optical shop can make and fit the glasses for you, often within the same day. If contact lenses are desired as an option, we can perform the fitting and take care of the follow-up as well. Farsightedness, or hyperopia, occurs when the eyeball is too short, and the image strikes the retina before it has had a chance to become in focus. In other words, the retina is too close to the lens. The focal point of the light rays is further back than the retina. In addition to the simple refractive errors noted above, there are many other types of problems that may be seen. Congenital eye disorders including cataract, incomplete development or anatomic irregularities are problems seen by pediatric ophthalmologists. Some of these conditions may be associated with other developmental disorders, and it is not uncommon that the ophthalmologist (who is an M.D.) may be the one to diagnose certain systemic conditions. Prematurity, with the need for supplemental oxygen for the newborn, can be associated with retinal problems. This is one reason why we examine the eyes of virtually all preemies, and in the (unusual) circumstance of finding this so-called retinopathy of prematurity (often called ROP), appropriate treatment may be begun at a time where it can be effective. Children certainly can have many of the same problems as adults including simple "pink eye" (infectious conjunctivitis), allergy problems, cataracts or glaucoma. The eyes may be involved in other systemic illnesses of children such as juvenile rheumatoid arthritis or childhood diabetes. Remember that ophthalmologists are physicians who have completed medical school and who have training not only in eye problems but also in other bodily illnesses in which the eyes may be involved. Within our practice, Drs. Turtel and Pardon are fellowship-trained subspecialists in pediatric ophthalmology. 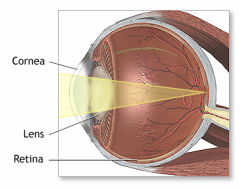 The retina is the tissue layer that lines the inner part of the back of the eye. It is the sensory layer of the eye; it has the ability to receive the light rays coming into the eye and convert them to small electrical impulses which are then transmitted to the brain for interpretation. The retina is much like the film in a camera. The light image is recorded onto it. 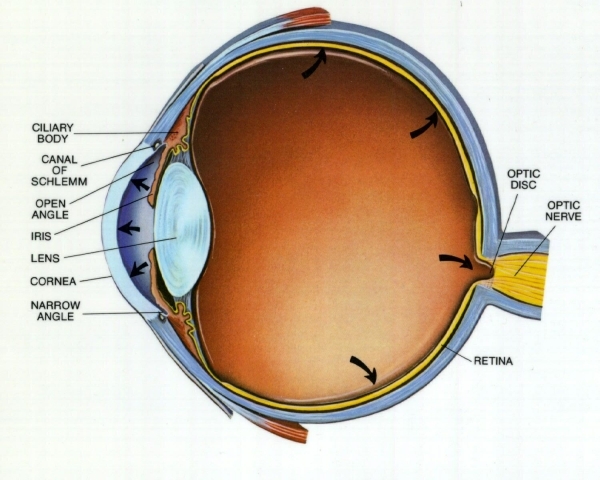 The retina in actually a multilayered structure which is extremely thin. Because it is so highly sensitive (much more so than any camera film ever produced), it requires a high level of metabolism to do its job. This means that it consumes a lot of oxygen. In fact, the retina has a higher usage of oxygen per unit weight than any other tissue in the body including the brain itself. For this reason, any disease, injury or other problem that reduces the oxygen level to the retina can, and often will, have an effect on vision. 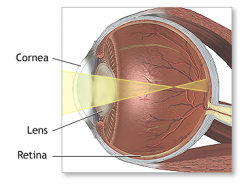 There are many disorders of the retina itself which can interfere with its ability to see light. Hemorrhage such as in diabetic retinopathy, swelling from injury, age-related hardening of the arteries and its consequent poor circulation and toxic chemicals or drugs are just a few of the problems that may decrease a person's vision. Just as putting a new lens onto a camera which has an old, outdated roll of film will not improve the picture, changing one's eyeglasses will not improve the vision if it is the retina which is diseased or injured. The retinal disease that most older patients worry about is macular degeneration. At the present time, there is no known specific cause for this problem. There are different types of macular degeneration, and they are managed differently. The retina is the only part of the eye in which we can actually look directly at blood vessels. For this reason, examination of the retina may give some information about one's general health. For example, if you are a diabetic, changes from diabetes might be observable by examining the retina. The same is true for high blood pressure. Keep in mind, though, that if the retina appears normal, this does not mean that you do not have diabetes or high blood pressure, only that it hasn't shown up in your eyes. You still need regular medical examinations by your primary care physician. When ophthalmologists look at the retina, it is often done with the pupils dilated. This simply allows better visibility by making a larger opening through which we examine it. There may be retinal problems that only are present at the very outer edge of the retina, and these often cannot be seen without dilating drops. In addition, a larger opening permits a better three-dimensional view. This is important in evaluating for other diseases such as holes in the retina. Retinal holes and peripheral retinal thinning may lead to retinal detachment, and it is far better to detect problems early when they are more readily treated. Glaucoma, which affects the optic nerve is often detected by the very same type of examination. And retinal tumors, while not very common, may only be visible through a dilated pupil as well. Optomap ultra-wide field retinal imaging is now available and can be used in many patients to avoid dilation and provide the doctor with additional information about your eye health. Our comprehensive eye examination may include a retina evaluation with dilating drops. These do take time to work, and that is why your visit to our office might be longer than you have experienced in the past. If you notice the onset of flashing lights or floating spots or "cobwebs" in your vision, please call our office. Often, these sensations are normal, but since they may represent retinal problems, you should be examined. Glaucoma is often without any symptoms until late in the course when damage has been severe. The glaucoma’s (there are really a number of types of glaucoma) represent a group of diseases of the eye, all of which have in common a damaging effect on the fibers of the optic nerve. Glaucoma is not simple, but it is treatable. There may well be a number of causes or factors underlying the development of glaucoma in any given person. For many years, glaucoma was defined as a disease of elevated fluid pressure inside the eye. This is not the same as blood pressure. While many persons do have glaucoma based on elevation of this pressure, there are many who do not have it. Thus, we try to avoid defining the disease as one of elevated pressure. Rather, the definition is a descriptive one. This means that the disease is defined by the presence of these damaging changes that are observed in the optic nerve and NOT by what we think is causing that damage. Thus, the pressure in the eye is a risk factor in the disease rather than the disease itself. The higher the pressure, the greater the risk. However, elevated intraocular pressure is NOT necessary to have glaucoma. One may have severe glaucoma with relatively low intraocular pressure. The reason the pressure is such an important risk factor, however, is that all glaucoma is TREATED by reducing the pressure (since we currently have no other way to treat it). This applies even to the so-called low pressure variety. Inside every eye is a special gland known as the ciliary body which produces this watery fluid called the aqueous. 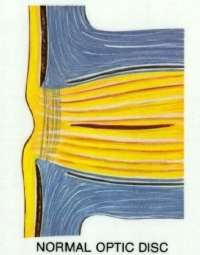 This fluid fills the front compartment of the eye, a small space called the anterior chamber (See Figure 3 above). This aqueous fluid is constantly secreted by the ciliary body and released into the chamber while, at the same time, older fluid drains out through a special channel known as the trabecular meshwork. This is a like a strainer, and the aqueous "filters" through it, ultimately leading into a small circular duct known as the Canal of Schlemm. The trabecular meshwork and Canal of Schlemm together constitute the drainage channel of the eye. From there the fluid leaves the eye by being absorbed into the surrounding blood vessels. Thus, the aqueous is in a constant state of turnover... new fluid is pumped into the eye while old fluid drains out. At any given moment, the pressure inside the eye depends upon exactly how much fluid is present. If more aqueous is secreted into the eye than drains out, the pressure will be elevated. If the fluid drains out faster than new fluid is formed, then the pressure will be lower. In the common type of glaucoma, known as open angle glaucoma, the drainage channel is widely accessible; that is, the aqueous can easily get to it. Notice the upper part of the photo above where it shows the angle as it appears open. Although the angle is open and the drainage channel is accessible, the aqueous somehow doesn't flow through it to get out of the eye. Another type of glaucoma, known as narrow angle glaucoma, is associated with a restricted access to the drain. In the lower part of the photo it shows what a narrow angle looks like. See how the iris is much closer to the cornea, thereby making the depth of that recess much less. In narrow angle glaucoma, the drain itself would work just fine if the aqueous fluid could only get to it. If the drain is not accessible to the aqueous, even though the drain works well, the aqueous will not be able to get out of the eye. The pressure will rise, and this may damage to the sensitive nerve fiber layer of the retina. With a fully closed drain, then end-point stage known as angle closure glaucoma occurs. If enough damage occurs to the sensitive nerve fiber layer of the retina, it can be observed by the ophthalmologist while examining the optic nerve (see the photos below). The optic nerve is like a cable consisting of millions of individual nerve fibers coming from the retina. Loss of these fibers shows up as "cupping" or an erosion of the optic nerve surface because there are fewer fibers. With laser scanning technology, an image of the actual nerve fiber layer may disclose early loss before that loss shows up at the optic nerve during the eye examination. It is ultimately the loss of the nerve fibers which causes loss of peripheral, or side, vision first and, later, central vision. This is the basis of glaucoma damage. Using the traditional definition of glaucoma (high pressure in the eye), the ophthalmologist will measure the pressure level with an instrument called a tonometer. This painless measurement provides an actual numerical readout of the pressure. Most of the time, but not always, the pressure in a "normal" eye will vary from the low teens to about 21 or 22. Of absolute critical importance, however, is the health of the optic nerve and nerve fiber layer of the retina. By tradition, we usually consider a pressure of 21 or 22 as the upper limit of normal. However, about one third of all patients who have existing damage from glaucoma have never had pressures above 21. We often examine an eye and observe damage to the nerve fiber layer and the optic nerve but find relatively low pressure. No one knows why these individuals have such damage. It may exist because of poor circulation to the optic nerve or because of some anatomic variation in the fibers of the optic nerve causing compression. Maybe, for them, a pressure of 17, for example, is abnormally high. In recent years, other eye features have been discovered to have a bearing on glaucoma. Just as some people have glaucoma with low pressure, we also know that many individuals run pressures that are well above 21 or 22, yet they have no disease. Our task, as ophthalmologists is to identify those who have glaucoma from those who do not and also to identify those persons who run pressures that might be potentially problematic if allowed to go untreated. This is the only way we can treat those who need treatment while avoiding unnecessary treatment for those who do not have glaucoma. Clearly, then, we need more information than simple pressure measurements. Following a recently published nationwide study of high pressure in the eye, we now have added a new measurement in the examination of many of our glaucoma patients. It is called corneal pachymetry, the measurement of the thickness of the cornea. At the time that the traditional pressure measuring instrument, known as the Goldman applanation tonometer, was developed, it was assumed that all corneas were about equally thick. The tonometer works by flattening the cornea a measured amount and calibrating the internal eye pressure based on how much external pressure is applied to flatten it. The calibration itself is based on a uniform corneal thickness concept. (The assumption that all corneas were equally thick was made because there were no instruments available at that time to measure the thickness.) However, now that we can measure this thickness with high accuracy, we have found that corneas may vary substantially from one person to another. Thus, the very thick cornea will require more effort to flatten it while the thin cornea will require less external pressure. As a result, the pressure reading on the tonometer may be higher than the real eye pressure if the cornea is thick, and the reading will be lower than the real pressure if the cornea is thin. Now we may treat some patients whose pressure readings seem to be low but who have thin corneas; their real eye pressure may, in fact, be higher. In evaluating your eyes for glaucoma, we must rely on clinical observation and expertise in knowing what a healthy optic nerve and nerve fiber layer look like. We need to know if there is damage to the peripheral vision. In a sense, we do not really test for glaucoma. We evaluate for it. Simple screening of the pressure without anything else is insufficient and may be very misleading. Glaucoma does its damage to the nerve fiber layer of the retina. The goal of treatment is preservation of vision. At the present time, and for the indefinite future, the only way we know how to treat glaucoma or prevent vision loss is by reducing the pressure of the aqueous inside the eye. Our discussion now will center on diagnosis and treatment. Some special glaucoma situations will also be presented. We begin our glaucoma evaluation by assessing the health of the various structures in your eye. Of course, we need to measure the pressure. As stated before, this is done with an instrument called a tonometer. The photo below shows an eye having its pressure checked with an "applanation" tonometer such as used in our office. This is the most accurate method of measuring the pressure. A single eye drop is placed into the eye, and this allows us to measure the pressure with a high level of accuracy. There is no pain or discomfort, and it takes only a few seconds to perform. This instrument does NOT blow air against the eye and is basically without any feeling at all. There are still other instruments which can determine the pressure in the eye, one of which can even be used by the patient at home. A thorough microscopic examination of the eye including a detailed assessment of the health of the optic nerve is also performed. From there, we will continue with further diagnostic testing as indicated on an individualized basis. Corneal pachymetry (thickness measurement as described above) may be used in many circumstances to refine the accuracy of the pressure measurement. 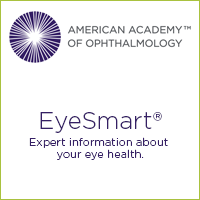 We employ some of the most advanced computerized technology to aid in assessing the health of your optic nerves and nerve fiber layer. Remember, it is damage to these ocular structures ultimately damages your vision. The early changes may have no effect that you, yourself, can recognize initially. However, they may be measurable to us. Peripheral vision testing, will indicate the level of retinal sensitivity of the side vision, that area that glaucoma affects initially. Our visual field analyzer is the most sophisticated instruments available for this purpose. The addition of our laser scanning nerve fiber layer analyzer may permit us to observe very early changes long before they can be seen by direct observation or before they cause loss of side vision. This gives us a much better ability to detect early changes and treat the eye before severe damage occurs. As stated, glaucoma is treated by reducing the pressure inside the eye, even if the pressure is not high to begin with. In the future, glaucoma may well be treated by changing one's genetic makeup in some fashion to make the eye resistant to whatever it is that really causes the problem in the first place. In most cases of the common type of glaucoma (primary open angle), we reduce the pressure by the use of eye drops. There are many types, and the choice of which one, or ones, to use is different for different individuals. In certain situations, laser treatment may be an option. While no one really knows how the laser works, it does have the capability of pressure reduction in many situations, particularly if eye drops are not working adequately well. In the type of glaucoma referred to as narrow angle glaucoma, laser treatment might even cure, not just control, the problem by creating a pathway for the aqueous fluid to leave the eye. Our practice has these lasers right in the office, and we have many years experience in using them effectively. Laser treatment for glaucoma usually takes only a short time, has a very high level of effectiveness, and it has a very low level of risk. Finally, there are more difficult glaucoma situations that sometimes require actual surgery. This can be done as an outpatient, under local anesthesia, when indicated. Generally, surgery is not performed unless other means have not worked well. Every situation is different, and we will always discuss all of the options available to you so that, in the event surgery is needed, you will be fully informed. Please do not hesitate to ask us. Glaucoma occasionally represents a complication of some other disease process. Here, we must first diagnose and treat the underlying condition, if known. In this sense, the treatment of the primary problem itself can reduce the pressure simply by eliminating the source of the elevated pressure. These so-called secondary glaucomas are not the typical type of glaucoma, and each must be treated individually. A less common type of glaucoma called narrow angle glaucoma was noted above. It's end point of acute angle closure is a serious eye emergency. With the exclusion of injuries, acute angle closure glaucoma remains the number one medical eye emergency. Within a few hours of its onset, one may experience profound eye pain, nausea, and severe vision loss. If allowed to go untreated, extensive permanent vision damage may occur. In many situations, the condition is preventable simply by having regular examinations by your ophthalmologist who is trained to recognize those at risk. In a prior discussion, we have noted that the condition called narrow angle glaucoma exists when the aqueous fluid inside the eye is restricted from getting into the internal drain. This drain, known as the trabecular meshwork, lies at the outer periphery of the iris (the "colored part" of the eye) where it meets the sclera (the "white" of the eye). At the junction of these structures is a recess called the anterior chamber angle. Note the photo below. It shows a cross-section of the eye illustrating a closed angle. The degree to which the trabecular meshwork is available is determined by how wide or narrow the recess is... in other words, how open the angle is. For the mathematically inclined, a very wide angle may be 40 or 45 degrees. A narrow angle may be less than 15 degrees. As long as the angle is open, even if only a slit, the aqueous can get to the drain. A shallow but still open angle will pose a threat if it closes off completely since there is no longer any way the aqueous can drain out. The intraocular pressure can rise to levels well over 50 in just a few hours. This is dangerous and can lead to permanent vision loss. During our eye examinations, we evaluate the depth of the chamber angle of your eye. Most people have open angles that do not pose a problem. Those who have short eyes, usually fairly farsighted, often have shallow angles. The natural aging process causes all angles to shallow. If you have a wide open angle early in life, it is not likely to ever be a problem. If you have a mildly shallow angle in your middle-age years, you might have trouble later in life. Narrow angle glaucoma is less common than the typical open angle variety. Some patients with narrow angles have very mild short-lived attacks during which the angle, or drain, closes off completely. This results in a spike in the intraocular pressure which frequently causes pain usually described as a headache around the eyebrow area. If the closed angle spontaneously opens a bit, the fluid drains out, the pressure drops, and the headache goes away. Repeated attacks can result in mild degrees of damage with each episode. These are cumulative. Ultimately, by the time you are aware of vision problems, there is typically extensive damage. If the attack does not spontaneously break, the drain stays closed, and the pressure continues to rise. This causes fluid to accumulate into the normally clear cornea, giving it the likeness of frosted glass rather than clear glass. The blood vessels in the eye become congested, and there often is intense pain which can cause nausea and vomiting. This attack of acute angle closure glaucoma requires prompt attention. Eye drops and systemic medications usually can cause the attack to break with the resulting lower pressure and symptom relief. However, there may be damage to the drain caused by the attack itself. Treatment is aimed at keeping this from happening again and will be described below. If you have a narrow angle (determined by your ophthalmologist), you should be aware of the risk of angle closure. Regular use of appropriate eye drops may help increase the ability of the aqueous to drain out of the eye and keep the pressure down. Certain systemic medications often contain a warning not to use if you have glaucoma since they may cause further shallowing of the chamber angle. Note that while these warnings only say "glaucoma," they really apply only to narrow angle glaucoma. If you have open angle glaucoma, these warnings generally don't apply. Please ask us if you are not sure. The definitive treatment for a chamber angle that is dangerously shallow or for an eye that has already had an actual attack of angle closure is usually performed with a laser. This instrument has the ability to create a small hole in the iris right near the base of the chamber angle so that the aqueous fluid always has some access to the drain. This opening is totally inside the eye and has nothing to do with ordinary tear drops, nor does the aqueous drain outside the eye. In this manner, the drain can never totally be occluded. It simply is a bypass opening that functions as a safety valve. The procedure is called laser iridotomy and is done in our office. It generally requires only a few minutes, and the risk factor of the procedure is extremely low. Most always, the risk of angle closure glaucoma is substantially higher than any unlikely risk of the laser procedure. If you have had an attack of angle closure in one eye, the risk of having an attack in the other eye generally is very high. We usually will perform a laser iridotomy in the opposite eye in a preventative fashion in such patients. Even if you have never had an attack, we can advise you of the probabilities, and laser iridotomy might be recommended anyway if there is concern about having such an attack. The photo below shows what an eye with 2 laser iridotomy openings looks like. Notice that these are barely visible when casually looking at the eye. Some patients may still need to continue eye drops even after a successful laser iridotomy. This is usually because the intraocular pressure remains too high in spite of the angle being adequately available. The iridotomy procedure only provides a pathway for the aqueous to get to the drain. If the drain itself is undamaged, laser iridotomy can literally cure the disease. If the drain is not working well anyway, drops may be necessary. Laser iridotomy ordinarily has no direct effect on your vision or your eyeglass prescription. We want you to realize that glaucoma can be treated, and vision loss can be prevented in most cases. Early diagnosis and treatment is important. The above description, we know, is complex. Glaucoma is complex. Only ophthalmologists have the experience and training to manage this disease. Have your eyes examined regularly to be checked for glaucoma. Don't wait until your vision has been impaired to detect this treatable condition.